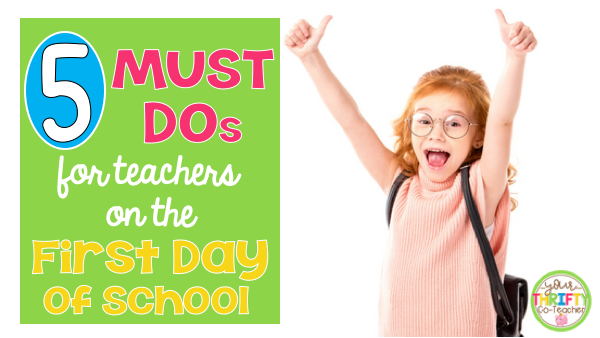 If so, the good news is that having the following five things prepped before the students walk in on the first day of school will definitely help ease your anxiety on that first morning back. We all know how important it is to welcome our new students and their families at the door with a smile and a handshake, but not having things prepped for them as they walk in can lead to a bit of chaos on that first morning as we take time to greet everyone. 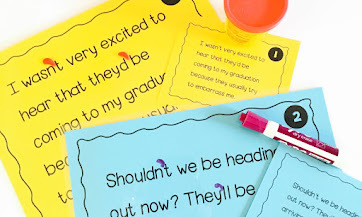 Therefore, whether it be on a sheet of paper or written on the board, have clear directions displayed for students of what they are expected to do once they walk in. Make the list short and simple to read, but allow the activities on the list to give you at least 30 minutes of uninterrupted time to meet with parents, check in with students, take attendance, figure out lunches, etc. Remember, the goal here is to keep things moving without much support needed from you. Therefore, if all of the assignments do not get done, don't fret. 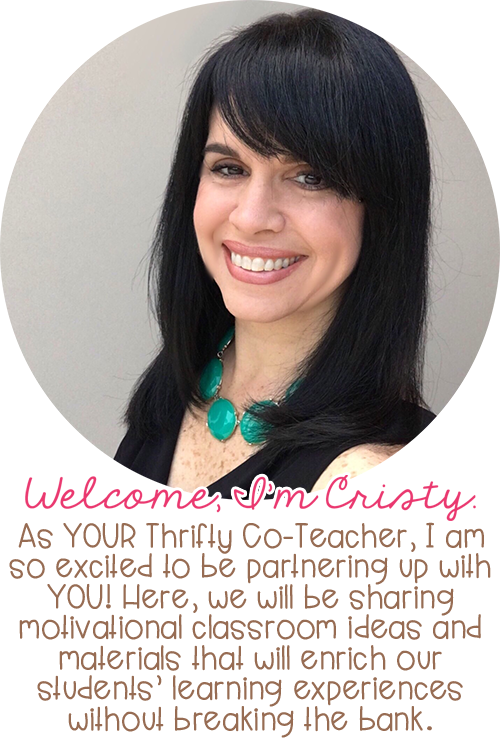 You just want to get the kids working on some housekeeping activities that will give you time to take care of other first day of school tasks. 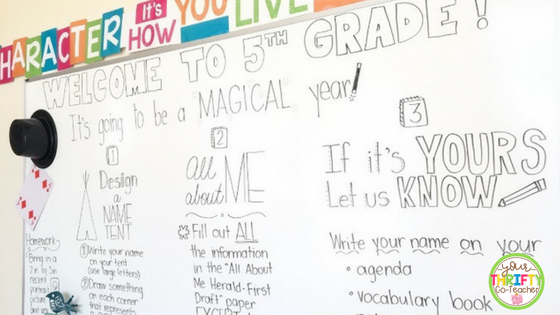 That being said, the first day of school is a perfect time for a "Getting to Know You" activity. 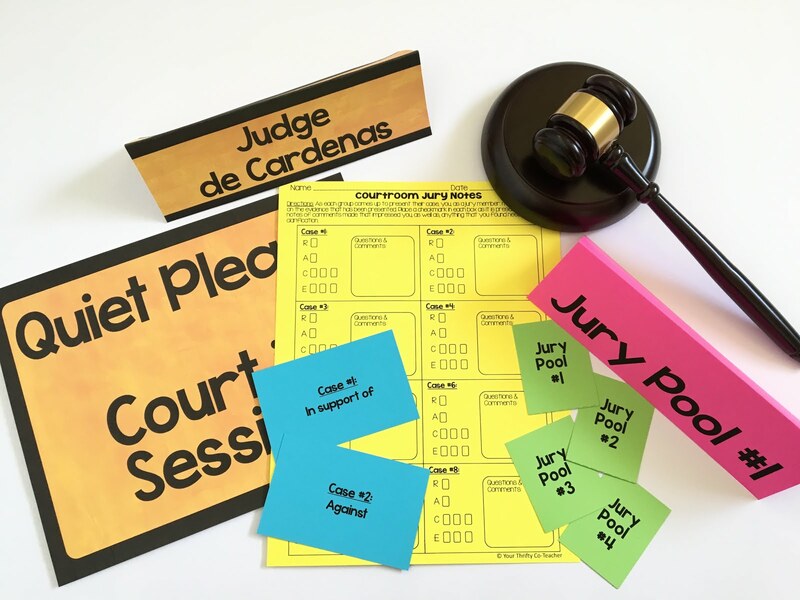 Having this activity set on the students' desks before they walk in, and mentioning it on the directions displayed to students, will avoid the need for you to stop what you are doing to distribute the work to them. As you can see in the picture for "Tip #1," one activity you can have your students do is to create a name tent. Pre-folding the name tent for them and having them already placed on their desk will save time. Students write their name on both sides of the name tent, and then draw one thing on each corner of something that represents them. Displaying your own name tent at the front of the room will give them a visual of what it should look like, therefore minimizing questions. Another, easy to implement activity is an "All About Me" questionnaire. 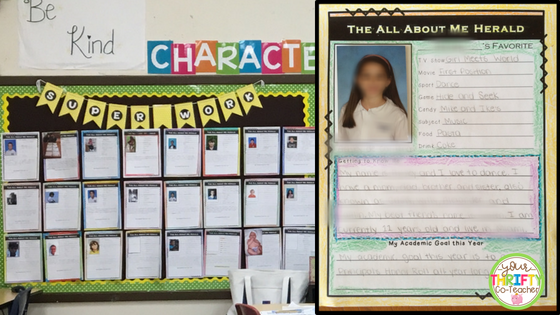 This is a great prewriting activity that can be used on the following day to make an "All About Me" poster. These types of posters make for a great classroom bulletin board display for the start of the school year, as well as allowing students to learn about their classmates. If you teach in a departmentalized setting and are responsible for teaching math, a "Count On Me" activity might be more appropriate. 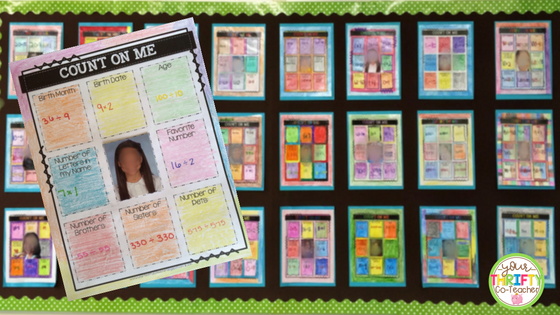 This is another nice way for students to let others know more about themselves through the use of math skills. The great thing about this particular activity is that not only does it give you an insight into the students' lives, but it also gives you insight into how comfortable or confident they are in math. These types of activities allow students to create their own math problems to answer questions about themselves. You can make it open-ended, or you can specify how many of each type of problem you want. A suggestion is to tell students to "show off their math skills." For example, if they are 11 years old, they can get as fancy as creating a PEMDAS problem such as 25 - (7 x 2). Distributing books can be extremely time consuming. Having the students' textbooks already placed on or inside their desks can make things move more quickly and smoothly. 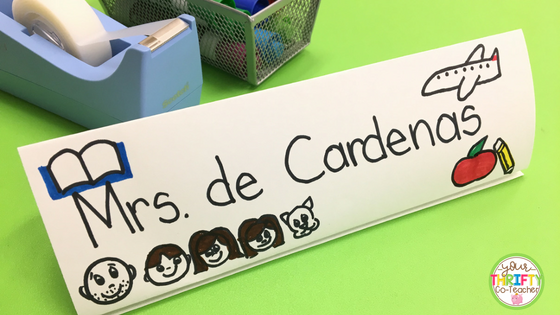 For younger students, you may want to already have the books numbered or labeled with their names on it before they walk in. 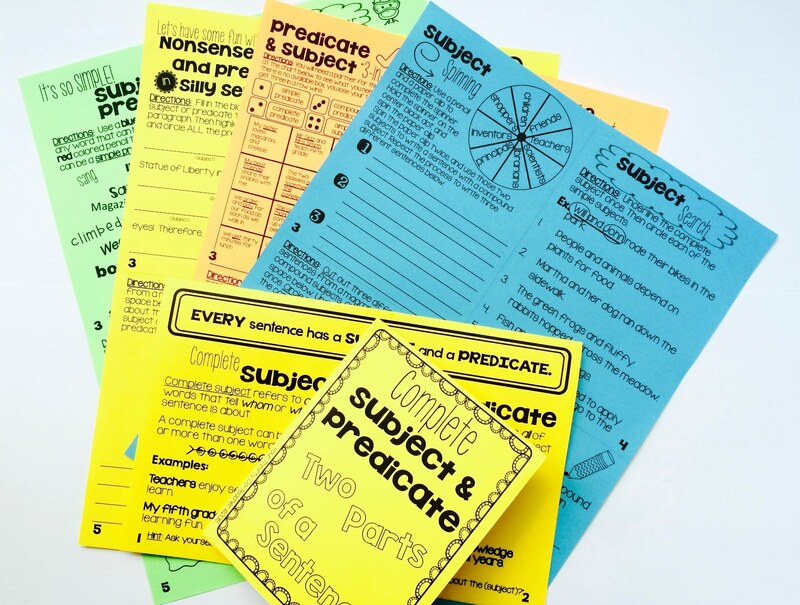 With older students, you can make numbering or labeling the textbooks one of the morning activities. Students will (hopefully) be showing up with all their new school supplies. Some of these supplies will most probably be housed in community bins. Have those bins labeled and ready to be filled. Calling up students by tables to drop off things such as tissue boxes, antibacterial hand sanitizer, etc. is a quick way to get those materials sorted and ready to go without having to go around picking them up one by one. Hopefully, these five tips will help you have a smooth first morning back to school, and allow you to focus on welcoming your new "family" members into the classroom. Here's to a wonderful first morning back and a successful school year!